Indologist, vedic scholar, grammarian and philologist, Michel Angot has trained and worked both in India and in France (Sorbonne). His training in India included learning Veda recitation and traditional grammar with local scholars (pandits). Some of his more specialistic areas of expertise are in the domain of svara (sanskrit tonality, often translated as accent system), Mahābhāṣya of Patañjali, Yoga Sūtra and other yoga-related texts, including the Yogayājñavalkya and the Haṭhapradīpikā. 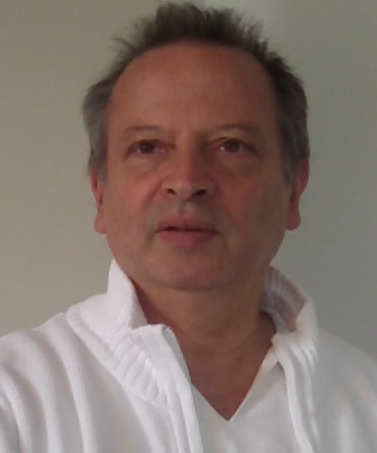 He has taught Sanskrit and sanskrit literature at Nanterre University (Paris-X), then at the Institut National des Langues et Civilisations Orientales (INALCO). Member of the Centre d’Etudes de l’Inde et de l’Asie du Sud (CEIAS), he regularly holds seminars on ancient sanskrit texts from Veda to Abhinavagupta at the Ecole des Hautes Etudes en Sciences Sociales (EHESS). As an example, the topic of the 2013-2014 sessions was on Sanskrit commentatorial techniques (for an outline in pdf see here). A first volume based on this research, entitled Le Sanskrit commentarial, vol.1: Les gloses, is due out soon. Michel Angot also teaches courses on classical texts internationally (more details here). Listen to Dr Angot’s radio interview on “Le sport, un exercice spirituel? Aux origines du Yoga Sūtra” (in french) here. More (in french) about his work and publications, including some downloadable materials, can be found here.